Kevin Harvick started 7th, finished 30th. The No. 4 Busch Beer Ford received damage to the nose of the car as the field stacked up in the bottom lane at the green flag. Harvick brought the No. 4 Ford to pit road under caution to fix damage to the nose on lap four. He restarted 38th following the stop for repairs and raced his way up to 22nd before reporting he had a cut right-rear tire. Harvick brought the No. 4 Ford to pit road for fresh tires under green-flag conditions and lost a lap in the process. He reported that the damage to the nose of the car caused it to get tight through the corner on a long run. The team made multiple pit stops for repairs to the nose of the car under caution following the conclusion of Stage 1. Harvick raced his way up to 21st position before pitting under green-flag conditions on lap 91 for tires, fuel and chassis adjustments. The No. 4 Ford lost a second lap to leader Martin Truex Jr. on Lap 118 while racing in 24th position, just before the end of Stage 2. The Busch Beer pit crew made multiple adjustments under caution following the conclusion of Stage 2. 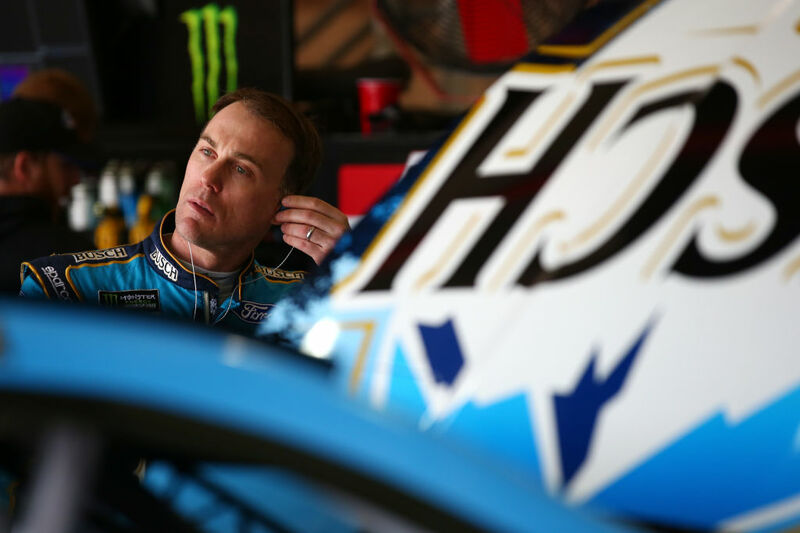 Harvick reported a tight-handling condition throughout the beginning of the final stage. The No. 4 Ford stayed out under caution with 20 laps remaining to take the wave-around. He restarted 24th one lap down to the leaders with 17 laps remaining. The No. 4 Ford returned to pit road under caution on lap 187 for four tires, fuel and air pressure adjustments. He restarted 22nd with 11 laps remaining. Harvick was the first car a lap down when the caution came on lap 193. He was awarded the free pass to return to the lead lap. He restarted 17th for the overtime and raced his way up to 13th by the checkered flag. Harvick scored his third top-15 finish of 2017. Twenty-three drivers finished on the lead lap. The next event on the NASCAR Cup Series schedule is the STP 500 on Sunday, April 2 at Martinsville (Va.) Speedway. The race starts at 2 p.m. EDT with live coverage provided by FS1.